Is Silversea Planning to Build New Ships? Is Silversea Cruises planning to build three new cruise ships? That’s the question today as news outlets in Asia reported that Shanghai-based ICBC, a unit of state-owned Industrial and Commercial Bank of China, arranged about €800 million (US$1 billion) in financing for three Silversea newbuilds at Italy’s Fincantieri shipyard. Silversea essentially operates two fleets today — the Classic Fleet of five traditional luxury vessels and the three-ship Expedition Fleet, which offers upscale adventure cruises to Antarctica, the Galapagos and other rugged destinations. 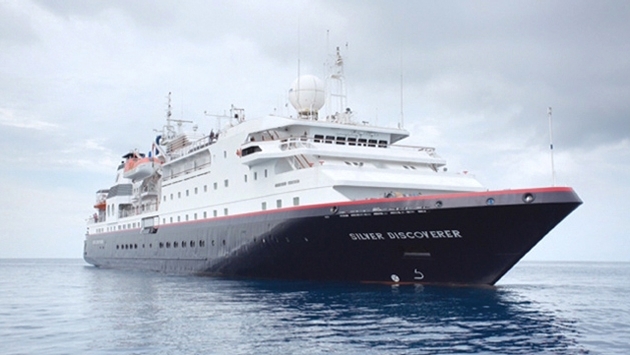 Would Silversea expand the classic or the expedition fleet? Its newest traditional ship, the 540-passenger, 36,000-ton Silver Spirit, is turning five years old in December. The 382-passenger sister ships Silver Shadow and Silver Whisper entered service in September 2000 and July 2001. The 298-guest Silver Wind will turn 20 years old in January, while the 296-passenger Silver Cloud did so last April. Silversea has been expanding its expedition operations over the past few years, starting with the Silver Explorer in 2008, the Silver Galapagos in 2013 and most recently the 120-guest Silver Discoverer in April. Of course, one of Silversea’s main competitors, Seabourn, has a newer fleet with three 450-passenger Odyssey-class ships entering service in 2009 through 2011 and a fourth on order for delivery in mid-2016. Seabourn also is in the process of selling its three smaller, older ships — delivered 1988-1990 — to Windstar Cruises. Regent Seven Seas Cruises last year ordered a new 738-passenger, 54,000-ton ship, its first newbuild in a decade, for delivery in summer 2016. Crystal Cruises operates the 1,070-guest Crystal Serenity, which was introduced in 2003, and the 922-passenger Crystal Symphony, which entered service in 1995. As for Silversea’s expansion plans, time will tell. We’ll keep you posted.